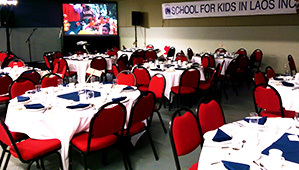 Audio Visual for Your Event! 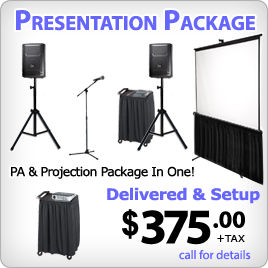 We've got the right Audio, Video & Lighting equipment for all types of events! 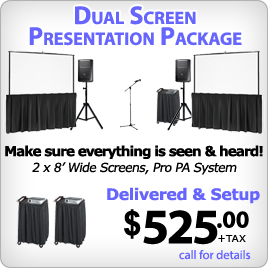 We want to make your event the best it can be within the budget you have! 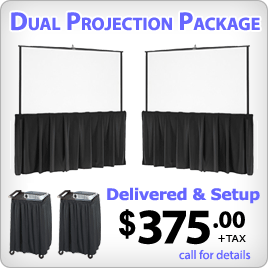 Delivery, setup/test, instruction & packdown/pickup is always included! 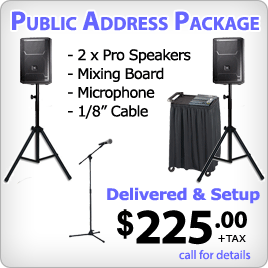 Let us send you a quote including everything you need for your next event! 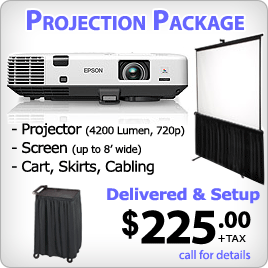 See pricing on some of our packages below. 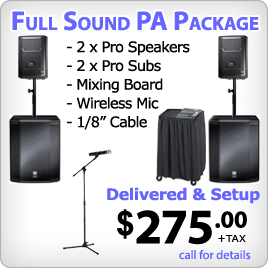 These are just a few of our basic packages & by no means a complete listing of what we offer.